You'll be cozy under this New England Patriots Tapestry Blanket while you watch the Patriots game. 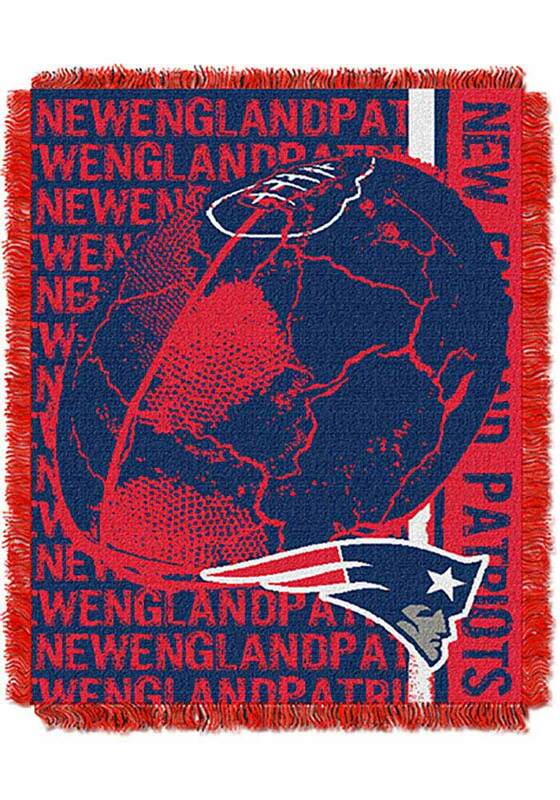 You'll love the look of this New England Patriots Tapestry Blanket, which features a licensed New England Patriots logo largely in the center, with a smaller version mirrored in the front. This 46" x 60" throw has decorative fringes on all four sides and is made of soft, yet durable high bulk acrylic. It's easy to care for and holds up well even after repeated machine washing.